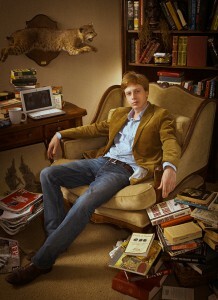 Barrett Brown. Photo credit: Theta00 / Wikimedia (CC BY-SA 3.0). Several new developments in the Barrett Brown case suggest that the playing field between the cyber-activist/journalist and the government may be starting to even out—at least a bit. But the feds aren’t giving up anytime soon. On April 28 it was announced that Brown—currently facing upwards of 100 years behind bars for a slew of felonies ostensibly unrelated to his work as a journalist—had retained new defense counsel, including heavyweights certain to draw more attention to his case than ever before. Brown’s new team will consist of attorneys Ahmed Ghappour and Charles Swift. Swift’s name should be familiar to legal junkies in the post 9/11-era. A former Lt. Commander in the US Navy’s Judge Advocate General (JAG) Corps, he represented Salim Hamdan in his successful bid to gain Supreme Court recognition of habeas corpus rights for Guantanamo Bay detainees. Swift now focuses on national security and military litigation as a partner in his private practice. For Brown, the change came not a moment too soon. As the target of what feels like an establishment pile-on, Brown will need the best defense money can buy—that is, if they’ll let him buy it. However, in a hearing on May 1, Judge Stickney essentially reversed himself, denying the government’s motion to transfer the funds to the court for remuneration to Brown’s original public defender. Stickney then accepted that the cash reserves be used to retain Ghappour and Swift. The prosecution had seemingly hoped to hobble Brown by depleting his war chest and therefore his ability to defend himself. With the new ruling however, which allows him to spend the money on counsel of his choice—one not overburdened by a public defender’s typically heavy caseload—the court has dealt the prosecution a serious setback. The hearing came about a month after the Department of Justice (DOJ) dusted off a tried-and-true tactic in its war on dissent in the digital age: the viral subpoena. On April 2, the DOJ served the domain hosting service CloudFlare with a subpoena for all records and personal information on one of its clients, a research wiki known as ProjectPM. The brainchild of Barrett Brown, ProjectPM—it should be noted—is entirely legal. PM is a crowd-sourced research effort to study an online trove of emails. They reveal the dirty tricks cooked up by US intelligence contractors, to help government and private entities—both here and abroad—battle critics. The emails were originally obtained by the “hacktivist” collective Anonymous. Brown had nothing to do with the hacking, nor is the government claiming he did. As we reported in our February piece on Brown’s saga, his stated goal was to create a better picture of the activities of these contractors and to publicly map out the web of relationships between them and the powerful agencies for whom they often work. In short, he sought to shine a light on the dark world of intelligence contracting in the post-9/11 age. Cumulative evidence suggests that the ultimate goal of the prosecution was not only to head off PM, but also discourage other such net activism. If so, it has certainly succeeded on the first count. Since Brown’s imprisonment last September, ProjectPM has come to a halt. And now CloudFlare will likely be forced to turn over records on third parties who were engaged in constitutionally-protected conduct related to curating or visiting the website. The inter-connected structure of the Internet enables such “viral subpoenas,” whereby private information about almost anyone within a particular network—like say, journalists accessing information published by ProjectPM—can be collected under the auspices of a single indictment. By subpoenaing all records associated with the domain name, the government could know and log the IP addresses of untold numbers of activists, journalists, and others who collaborated at some level on Brown’s work as a journalist. Activists have long had to contend with such fishing expeditions by authorities and civil defendants. In October 2012, EFF and EarthRights International (ERI), an environmental advocacy group, fought to quash a similar subpoena issued in a civil case against the oil giant Chevron. A year earlier, an Ecuadorian court had imposed a judgment of over $17 billion against Chevron for illegally dumping into the Amazon rainforest billions of gallons of some of the most dangerous chemicals known to man. In response, Chevron sought to compel three email providers to turn over emails from over 100 accounts related to participants in the lawsuit, including environmental activists, journalists, and attorneys. Chevron insisted they were part of a conspiracy with Ecuadorian officials to defraud the company. Access to such user data would have enabled Chevron to track the movements and communications of many involved in the action. Magistrate Judge Nathanael Cousins denied Chevron’s subpoena attempt. But other, non-civil cases didn’t pan out as well. As part of the Justice Department’s grand jury probe of WikiLeaks in 2010—reportedly still ongoing—a court ordered Twitter to hand over records of users the DOJ believed to be involved with the whistleblowing website, including a parliamentarian from Iceland. The court then sealed the subpoena from public view, precluding knowledge of what the government was seeking and from whom. Meanwhile, another digital muckraker—WikiLeaks founder Julian Assange—remains holed up in the Ecuadorian embassy in London for fear of extradition to the United States. Facing trial stateside remains a real threat with the grand jury’s continued operation. A similar action was taken in a case involving Occupy Wall Street (OWS) activists. In early 2012, the New York City District Attorney’s Office asked Twitter for all of its information regarding Malcolm Harris, one of 700 protestors arrested on the Brooklyn Bridge during an OWS action the prior October. Harris contested the subpoena, but was blocked on procedural grounds since technically all of the personal information requested belongs to Twitter. Thanks to legal grey areas in the age of digital information, the government was able to obtain these records with a subpoena rather than a search warrant, despite Fourth Amendment protection against unreasonable search and seizure, and the Stored Communications Act. Harris later pleaded guilty to disorderly conduct during the march. Despite the government’s attempted chill on freedom of association, plus its attempts to hinder Brown from mounting a reasonable defense, his new legal team provides a level of name recognition and experience the feds cannot be happy about. Attorneys Ahmed Ghappour and Charles Swift have worked under far more oppressive legal conditions, and represented far more marginalized defendants in the past. As noted, they’ve both represented perhaps the most disenfranchised and oppressed population currently in American detention: Guantanamo Bay detainees. Charles Swift—the former defense lawyer for Guantanamo Bay prisoner Salim Hamdan—successfully sued former Defense Secretary Donald Rumsfeld over the constitutionality of military tribunals and the treatment of GITMO prisoners. Swift won his case in front of the Supreme Court; this led to Congressional passage of the Military Commissions Act of 2006, an attempt to remove restrictions on the government’s ability to hold so-called “enemy combatants” indefinitely without trial. The provision in the 2006 legislation denying enemy combatants the right to challenge their detention was itself declared unconstitutional by the Supreme Court in 2008. Steeped in the law and in history, Swift is not at all shy about taking you deep into why, last April, he sued not only President Bush but also Defense Secretary Donald Rumsfeld on behalf of Salim Hamdan, a thirty-four-year-old Yemeni man who’d once worked in bin Laden’s compound in Afghanistan. Swift was assigned to represent Hamdan last December. The more he learned about the new tribunal system, the more uneasy Swift became. It took him almost two months even to meet with his new client, who was incarcerated at Guantanamo Bay, Cuba. He was startled to discover that the government had not provided him with a translator. Swift also discovered that the new system of military tribunals was being made up from scratch, ignoring the precedents set by previous tribunals. “The only thing this system gave an advantage to was interrogation, in getting rid of the Geneva Conventions and the rules of evidence,” Swift explains. “What became clear is that the president had determined to deviate from past practices. They were determined to make up their own rules.” In response, Swift sued the government, charging that the new system of tribunals violates the Constitution, the Geneva Conventions, and the Uniform Code of Military Justice. The case is now pending in Washington, D. C.
Swift’s colleague in the defense of Barrett Brown, Ahmed Ghappour, teaches at the University of Texas at Austin School of Law. Formerly of the non-profit advocacy organization Reprieve UK, he has challenged the unlawful detention of more than 40 inmates at Guantanamo. Ghappour has also been a participant in litigation regarding secret detention and extraordinary rendition—the Clinton-initiated practice of shipping prisoners to third-world countries where they can be tortured by allied security services. According to a press release, his recent work consists of “direct[ing] the National Security Defense Project, an access to justice initiative that raises constitutional challenges in national security and cyber security cases.” Since both men are known for working with some of the most abused and persecuted persons of the last decade, Swift and Ghappour’s decision to take this case should be enough to signal to the media at large that the Brown prosecution raises serious civil-liberties issues. Barrett Brown used the unique ability of the Internet to democratize information access and dissemination, thus shifting the power balance between citizen and state. For that, he and his family are paying a price. Brown was seized by the government in September 2012 in response to a YouTube video showing him making vague threats against an FBI agent. Those threats, however imprudent, were explicitly non-violent. While in a state of anguish and opiate withdrawal Brown lashed out against the government for going after his mother– because she had allowed him to stay at her home while the FBI raided his apartment looking for information related to ProjectPM and other hacked data. Now Brown’s mother, Karen McCutchin, is as much a part of the tale as her son; on March 21 of this year, she pleaded guilty to a charge of obstructing the execution of a search warrant. The Brown trial has broad implications—for freedom of the press, freedom of speech, freedom of association, and may help determine whether and how corporate and security-state interests tame the Internet. Yet, despite its importance, the story still has not reached the mainstream media. It has been limited to a column by civil libertarian Glenn Greenwald at The Guardian, a brief segment on Al Jazeera (in which this reporter participated), as well as entries from the non-traditional news sources VICE and Gawker. The failure of the news outlets from which 99 percent of the public gets its information to pay any attention to this case is in itself remarkable, given the consequences. WhoWhatWhy understands the significance of the Brown case, and will continue to report on it as it develops.